The sweet languor of summer days pairs perfectly with the mellowness of indie folk. 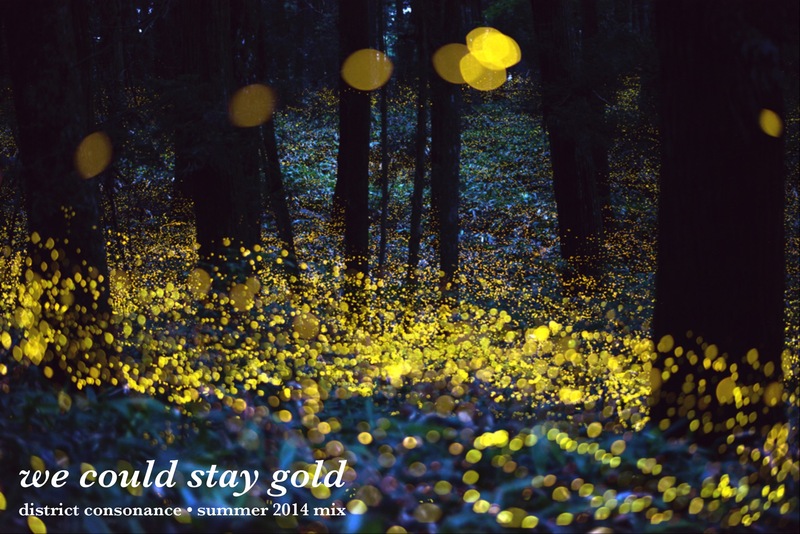 This playlist features some of my favorite new albums from the first half of 2014. Hope you enjoy. The sweet languor of summer days pairs perfectly with the mellowness of indie folk. And when the road beckons — when you roll down the window and taste the freedom in the air — those moments call for sunny, glossy indie rock. This playlist includes some of my favorite albums from the first half of 2014. It starts with shades of folk (Americana, folktronica, folk-pop), makes side a excursion into pop and neo-soul, and closes with ebullient, sunshiny rock. Hope you enjoy. If you like this music, please support the artists by purchasing their albums. Just click on the track listing to go to the online store. This song has nestled in my subconscious and refuses to leave. It’s a little bossa nova and a little psychedelic, and it makes me feel like I’m floating on a breeze of melodies. Sylvan Esso is the Durham, North Carolina folk-electro-pop project of Amelia Meath (Mountain Man) and Nick Sanborn (Megafaun). Meath’s voice is warm and weary as she takes us on fast-forward through the seasons, sketching vignettes: Wild winters, warm coffee / mom’s gone, do you love me / Blazing summer, cold coffee / baby’s gone, do you love me? Sanborn provides the electronic texture — the skittering synths, the chimes between verses. There is something different about Sylvan Esso. Something delightful. 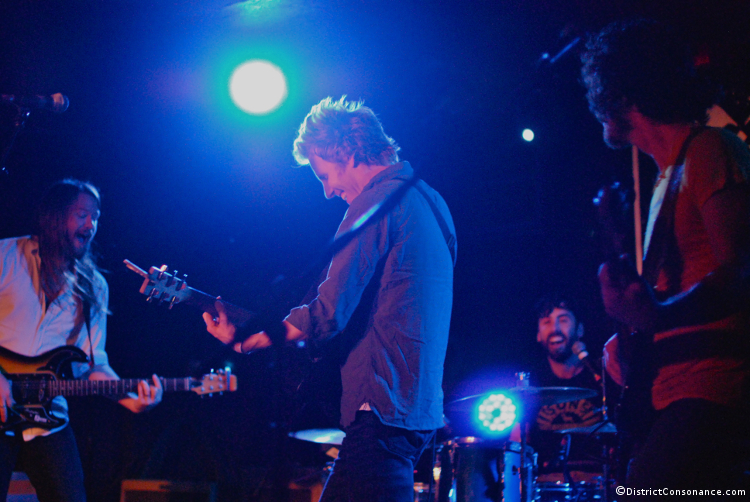 07/22/2014 update: Scroll down for photos from Ha Ha Tonka’s July 20, 2014 show in D.C.
Hey Washington — Ha Ha Tonka is playing this Sunday, July 20, at Rock & Roll Hotel (tickets here). When they’re not making music, these guys listen to NPR. Now what’s more D.C. than that? You have to check ’em out. Ha Ha Tonka’s “Lessons” is a beautifully-crafted reflection on middle age and middle America, on ambition and regret. With evocative harmonies, a dynamic mix of electric and acoustic instrumentation, and lyrics that are smart, honest, and accessible, this is music that is as rousing as it is revelatory. 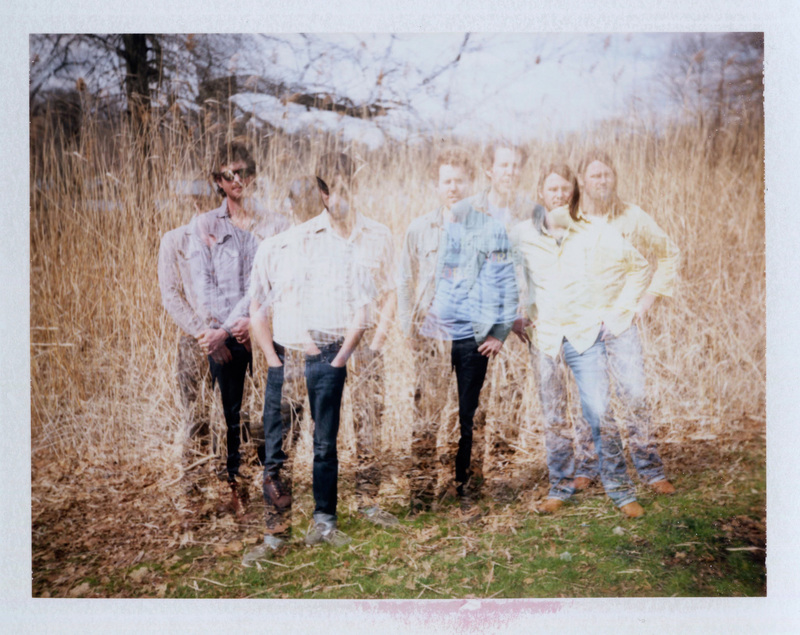 The Missouri band’s sound can be likened to early Wilco, the Avett Brothers, Old 97s, and Kings of Leon — but the comparisons don’t quite do Ha Ha Tonka justice. The band (named after a Missouri state park) takes driving guitar riffs, bright mandolin, saloon piano, thumping bass and drum, and four-part harmonies, and transmutes these elements into something quite addictive. Lead singer Brian Roberts has a voice that lends itself equally well to raw, anthemic rock and forlorn, confessional ballads. If you appreciate nuanced storytelling through the medium of a Southern rock song, “Lessons” should be on your summer playlist (CDs & vinyl here, digital download here). Earlier this week, the band answered some questions by e-mail about life on the road and the inspiration behind their latest record. Ha Ha Tonka performs at Rock & Roll Hotel in Washington, DC on July 20, 2014. Q. What was your earliest music memory — do music prodigies start out banging pots and pans on the kitchen floor like the rest of us, or did you go straight to strumming chords? Brett Anderson (keys, guitar, vocals): Mostly pots and pans at first. Then a conscious effort to play something later. I started playing guitar when I was 13. It devirginized me as a musician. Q. What was the first record you owned? If you were to name a handful of albums that captured your attention, say at ages 10, 15, 20, and 25 — what would those be? Brett: I owned a tape of Bruce Springsteen’s Born in the USA. Played it till it wouldn’t play no more. 10 — Michael Jackson’s Thriller. 15 to 25 — everything Pixies.